Get better results from your summer and school-year reading challenges. Customize your library’s summer reading, winter reading, 100 Books Before College, and other reading challenges. 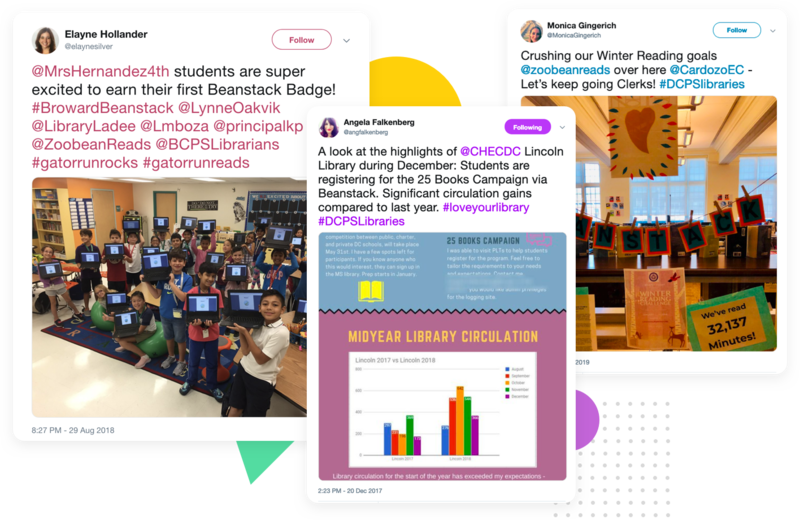 Make it easy for patrons to register, track reading, and earn incentives while you gain data-driven insights that help show the value your library plays in your community. 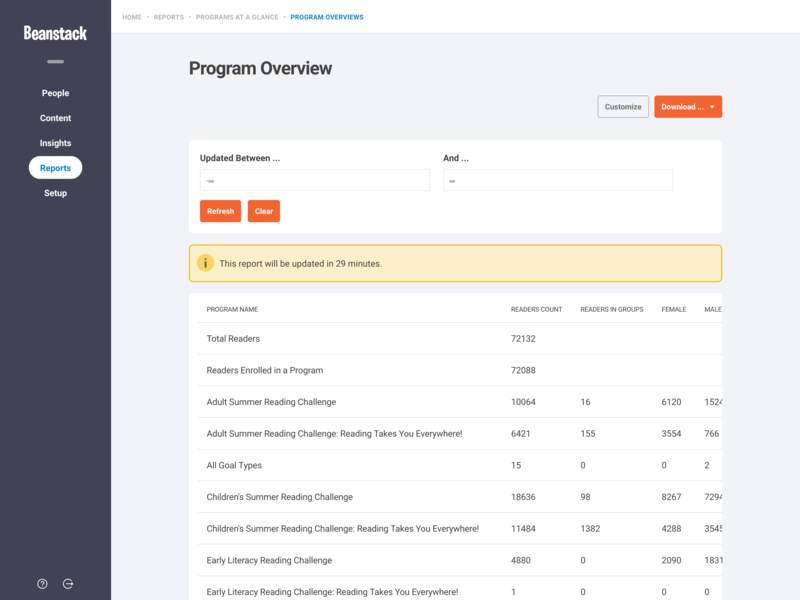 With Beanstack’s reading program creation tool, you can design reading challenges based on having participants log their reading, complete activities, and/ or post reviews. 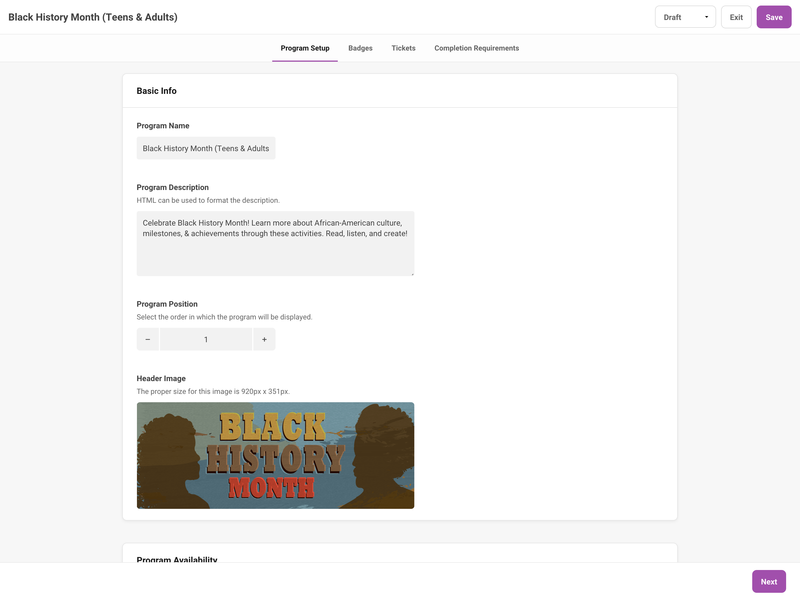 We regularly provide templates for Winter Reading, Black History Month, Read Across America Day, and other times of year. Readers of all ages can register in seconds as individuals, a family, or classroom. 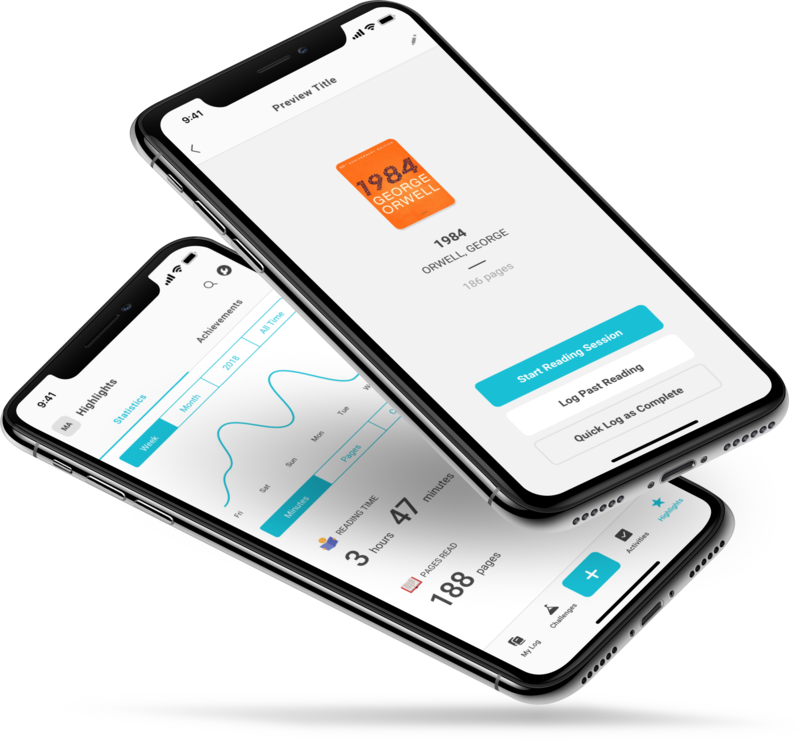 Beanstack makes it easy for them to earn virtual badges, tickets for drawings, and real-world prizes by keeping track of their reading. 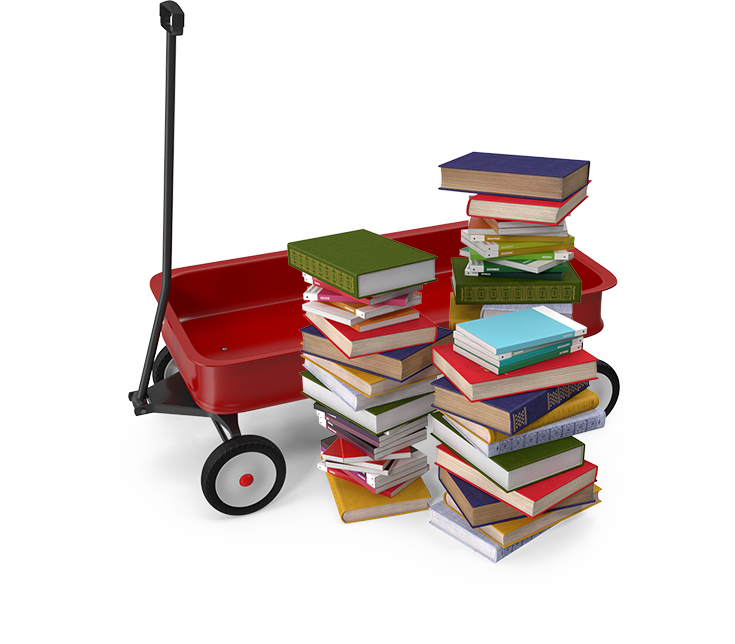 Readers can also post book reviews and keep track of activities they complete along the way. Your staff gains tools that help sign people up, log their reading, and redeem their prizes. Individual staff members may have added control over functions like creating reading lists and running drawings. And your central office gains access to hundreds of reports breaking down participation and helping you draw valuable insights. 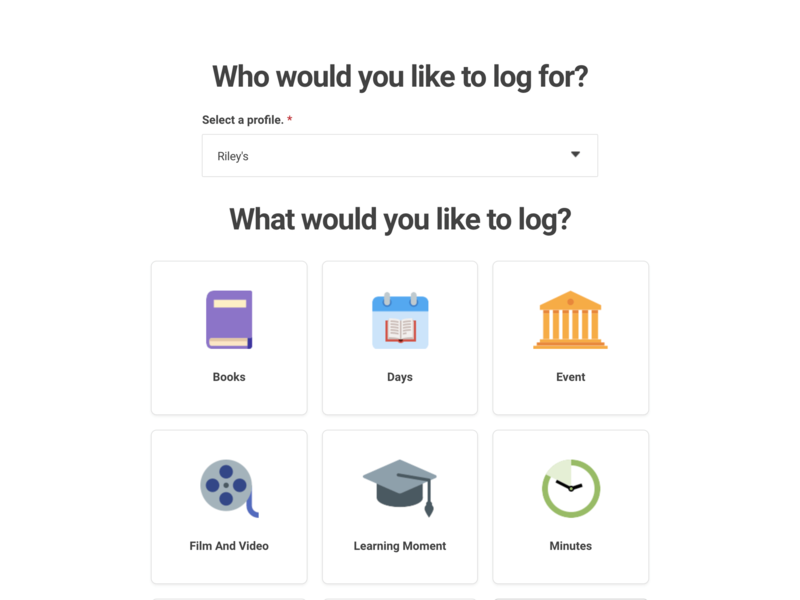 This one-of-a-kind app lets patrons time reading sessions, log books by scanning their ISBN numbers, keep a log of current and past reading, track daily reading stats, and achieve streaks for reading multiple days in a row. Meanwhile, these same patrons participate in summer reading, #WinterRead, and other reading challenges at your library. We create templates of engaging reading programs, because our clients are plenty busy and there’s always more to read. Our team of educators and reading specialists regularly creates template reading programs that clients can copy and customize as they choose. These templates include new, handcrafted virtual badges and marketing materials. And they range in theme and design from logging minutes as part of our annual Winter Reading Challenge sponsored by Mark Cuban to completing activities and earning points during Read Across America Month. 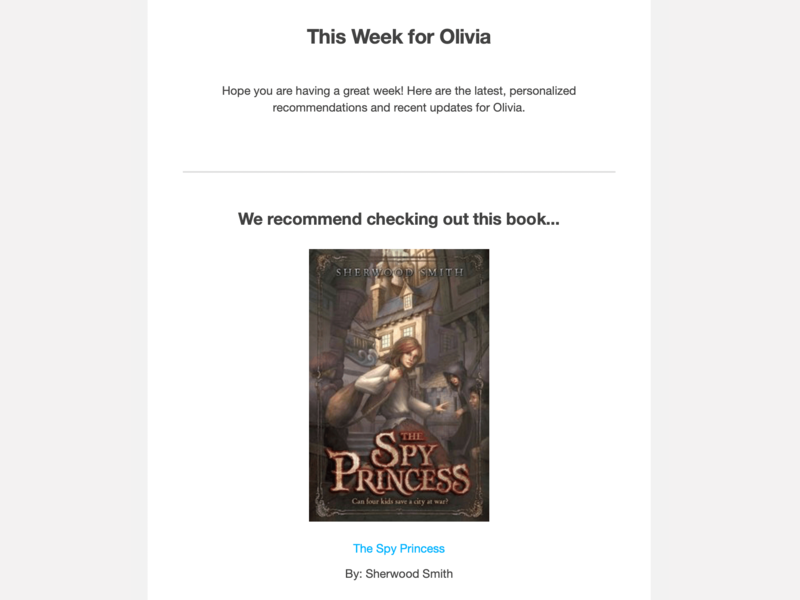 Beanstack sends each reader a weekly email or text message recommending a book and event based on the reader’s age, interests, and over 1,300 tags curated by librarians. 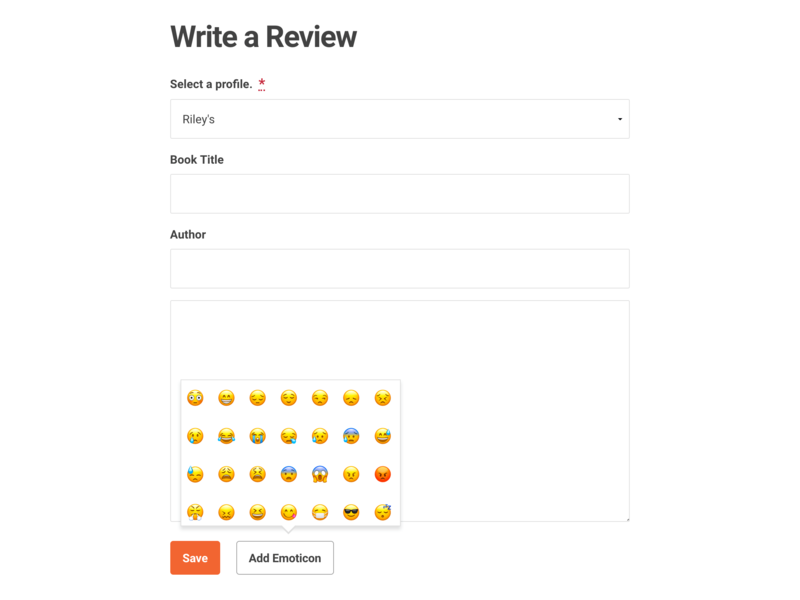 Readers within your library, school, or organization can post and like written reviews along with photos or videos, called “Picture Reviews,” to help other readers discover their next book.